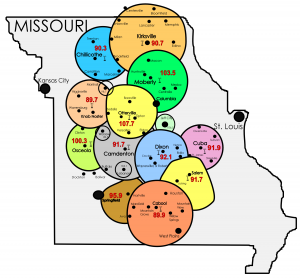 Spirit FM started in 1985 as a small 3,000 watt station, KCVO, reaching just the Lake of the Ozarks area. The vision to expand was birthed when KCVO began building small translator stations in Jefferson City, Sedalia, St. Robert and Knob Noster. Eventually we began building and buying full power stations and became Spirit FM in 1994. Since that time, God has blessed us with opportunities to expand all over the state of Missouri with 16 different radio signals. The generous gifts of our listeners have made the existence of these stations possible. Our mission is to connect you to God and each other. 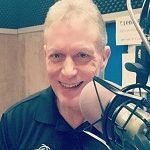 Our music is selected because the lyrics make a God connection and our promotions are designed to help our listeners meet the needs of those needing help.